Established in 1991, Globalstar, is a leading provider of mobile satellite voice and data services, leveraging the world’s newest mobile satellite communications network using their low Earth orbit (LEO) satellites. Now, with its second-generation constellation – consisting of 24 Low Earth Orbiting satellites – fully deployed and in operation, we take a look at how Globalstar’s next generation satellites have facilitated their future growth in Satcoms. Initially backed by some of the heavyweight telecommunications providers, Globalstar’s first constellation was launched in 1998, with full commercial service being delivered across North America, Europe and Brazil. Though encountering a few problems along the way, Globalstar’s surge in popularity was facilitated by the demand for global mobile communications. However, in 2005 some of the satellites began to reach the end of their 7.5-year operational lifetime, which paved the way for a much-improved second generation constellation. Fully deployed as of February 2016, Globalstar’s second-generation constellation consisting of 24 new satellites were launched to enhance coverage and reliability, whilst also providing a progressive solution to many of its first-generation satellite’s problems. As such, their move to design, build and launch the “most modern satellite constellation” seems to now be coming to fruition. Globalstar’s new network now supports voice, duplex and simplex data products and services, even including the SPOT GPS Messenger product. As such, Globalstar’s expansive range of subscription-based services have become more accessible owing to the enhanced capabilities of their new constellation, with duplex voice services appearing to be the more prosperous revenue stream. With total revenue during the first quarter of 2016 growing over 4% on the previous year, Globalstar’s subscriber base has grown and diversified internationally, even despite the ongoing pressures surrounding currency exchange rates. Moreover, Globalstar’s growth continued throughout the second quarter too, with an increase in total revenue equating to 9% when compared to the same quarter of the previous year. Globalstar have attributed much of this growth as primarily driven by higher service revenue from an increase in subscribers and in average revenue per user (ARPU) from all types of services. 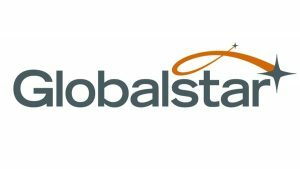 Although experiencing a rise in numbers for Globalstar’s services, it appears that the revenue generated from equipment sales hasn’t been as flattering after posting a 7% decrease when compared to last year. Given such rise in popularity, Globalstar’s subscriber base continues to grow at a rapid rate as their reliance and credibility of their second generation constellation increases. However, with a greater number of subscribers signing up to their services there is a greater need for a robust and highly efficient billing engine. With billing systems such as SATbill, users are able to streamline their airtime billing process to save time, money and resource – among many other benefits. So if you’re struggling to keep up to date with handling your airtime billing process, then there’s no better time than now to switch to SATbill.